Cracking another Force of Will Vingolf set! What could possibly wrong? There are going to be a lot more pictures than usual since I’m really tired from classes today. I bought a 2nd Vingolf set last week. I did so to acquire a playset of each dual stone (the Magic equivalent of dual lands). 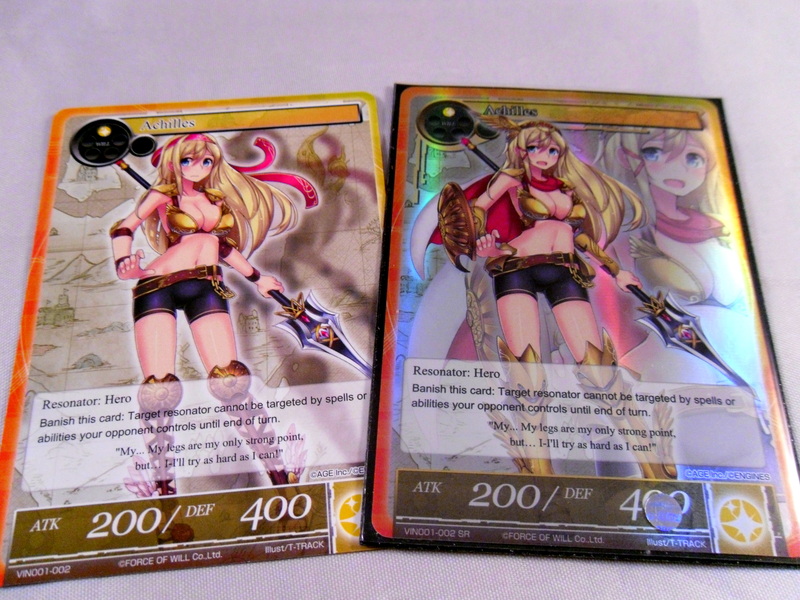 I only started to notice just how different the foils look from their common counterparts. 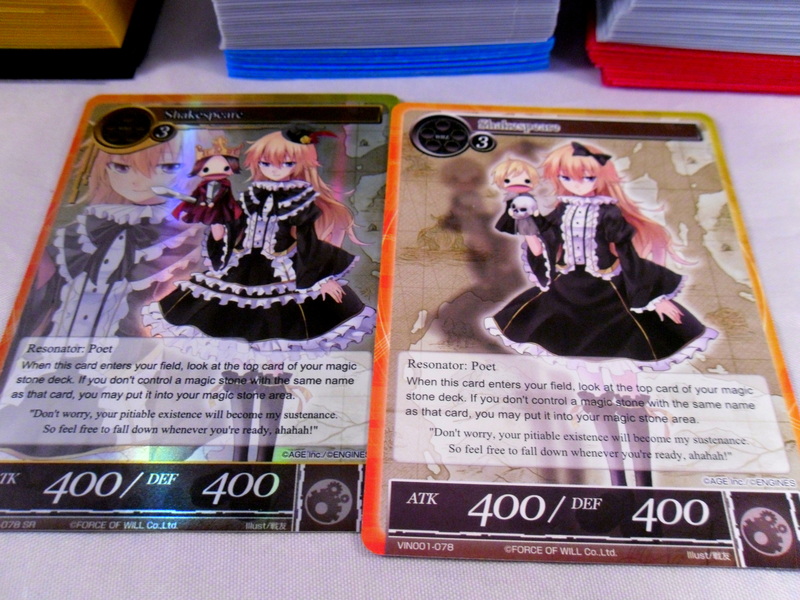 I really like the art on the foil versions. So what am I even doing? These are my decks so far. My current plan is save up to split another box with my playgroup. After “finishing” Clownblade I’ve made the conscious decision to stop building new yugioh decks. I’ve made over 100 decks all with the insane, but simple goal of someday hosting a Yugioh LARP where everyone duels while role-playing as different yugioh characters. For this reason I’ve built as many decks as possible to include more characters. Well I think I’ve reached the point where more decks isn’t the issue. In fact at this point I have far too many decks so I’m finally taking some decks apart. 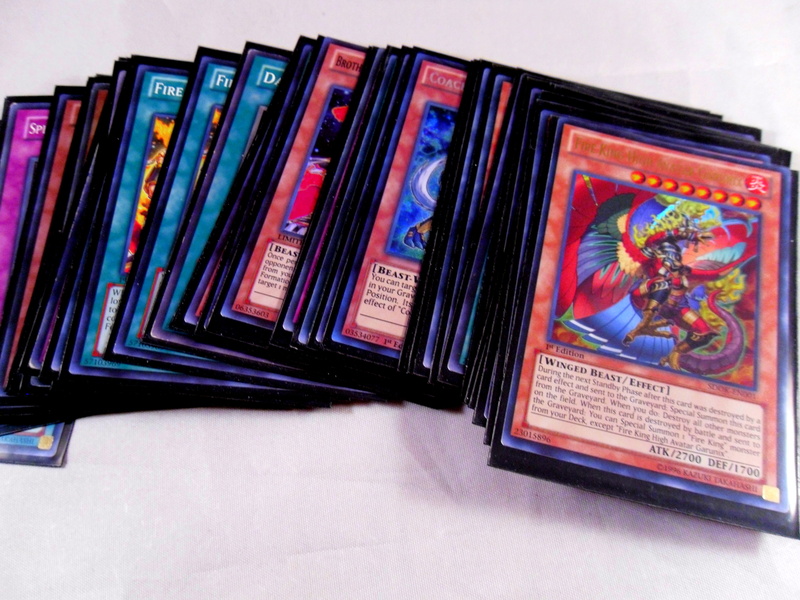 The fist Yugioh deck I’ve dismantled is Fire Kings. Why did I even built this? Well a long time ago Pot of Duality was an amazing card and I wanted a playset of it badly enough that I bought the Onslaught of the Fire King deck 3 times. Anyway, I’m going back through my collection to scrap any decks that aren’t related to a character in the Yugioh franchise. However, that’s not all! I do plan to enter a Yugioh regional at the end of October. Unless Nekroz is finally hit before then I hope to give it my all at the event. Well the Standard meta has once again become “Abzan Hell” where the top decks are all just some variant of Abzan. After playing in this format for only a few events I now live in mortal fear of Siege Rhino (a card that has led me many game losses). This card is literally Mono-Red’s worst nightmare. It pulls the opponent out of burn range and overpowers every cheap red creature with ease. I’ve saved up a fund of store credit to buy a box of Battle for Zendikar when it comes out in Sepember. I hope to turn a profit off said box and use that money to get any relevant red staples from the set. If BFZ doesn’t provide the tools to make Mono-Red remain viable though, I’ll sell both the Abbots and the Exquisite Flamecrafts once and for all. I planned to build Grimgrin, Purphoros and Talrand EDH, but all of those are being put on hold for now. Instead, I’m also actively taking some of my old Magic decks. While there’s a reason for me to have a lot of Yugioh decks, there’s no reason to have multiple Magic decks that can only be played casually. Though I’m debating remaking it as Modern Birds to compliment my Birds EDH. I sold all the rares in this deck to Card Titan at Eternal Weekend. That being said I kept a Kiora and an Ashiok in this deck and I’m maintaining it as a casual deck to play for now. I really can’t build a deck for this card. For the time being I’m just holding onto to my promo in hopes of making a deck for her some day. I once made a deck with just deathtouch creatures, Giant Growths and Ulvenwald Tracker. I recall playing it once in casual game that birthed a fanfiction. Not saying this is a particularly bad memory, but this is either becoming Mono-Green Modern or just returning to my bulk bin. Ok so “dismantle” might be me just pilfering and selling all the rares from my older decks but regardless desperate times call for desperate measures. 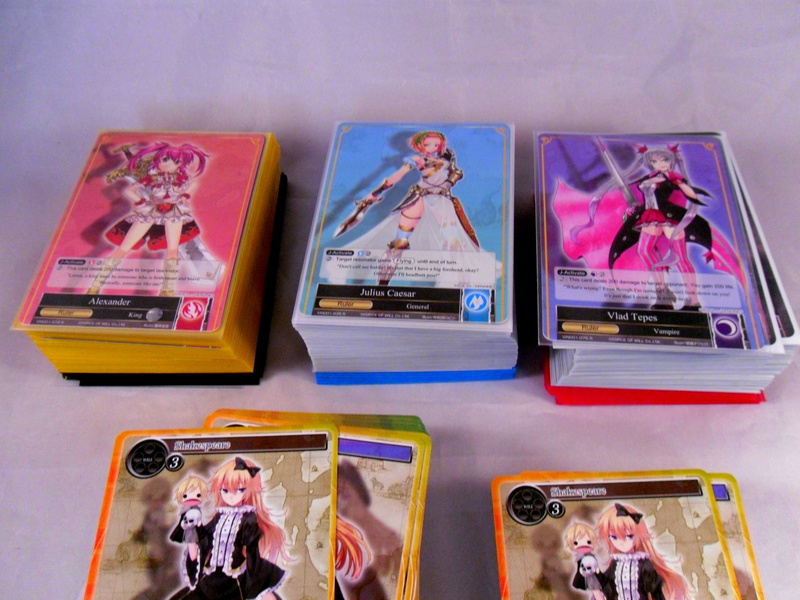 I can’t believe Vanguard did the whole combined card thing before Wixoss and I never even noticed! 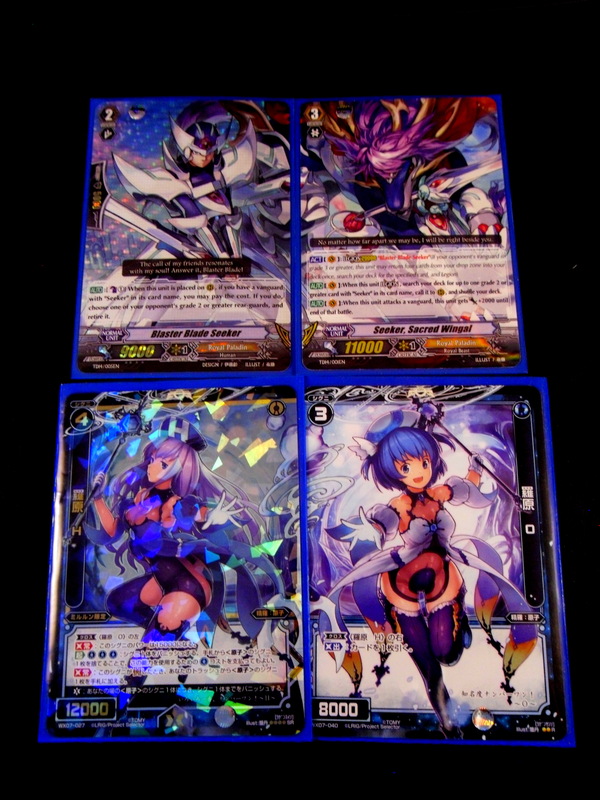 Oh yeah I finally learned how to play Vanguard, so when I relate a card game to Vanguard the comparison is hopefully more valid. Weiss Schwarz: I want to get a box of To Love Ru Darkness, but that may have to wait for a while. 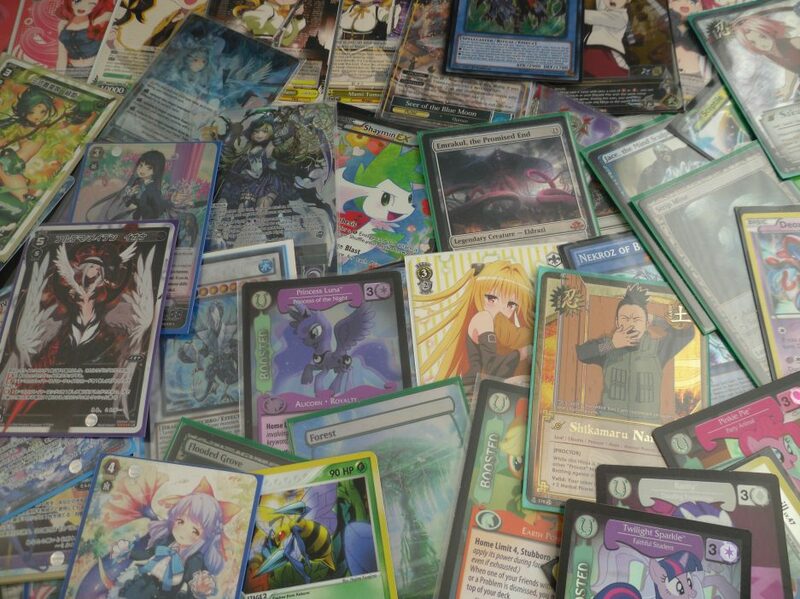 Oh yeah I bought the Trial deck for that show a while back too. “Fine” implies I have a deck I’m happy with and some number of regular opponents or that I can’t afford to care more right now. Anyway, I need to get some sleep. Thanks for reading as always. 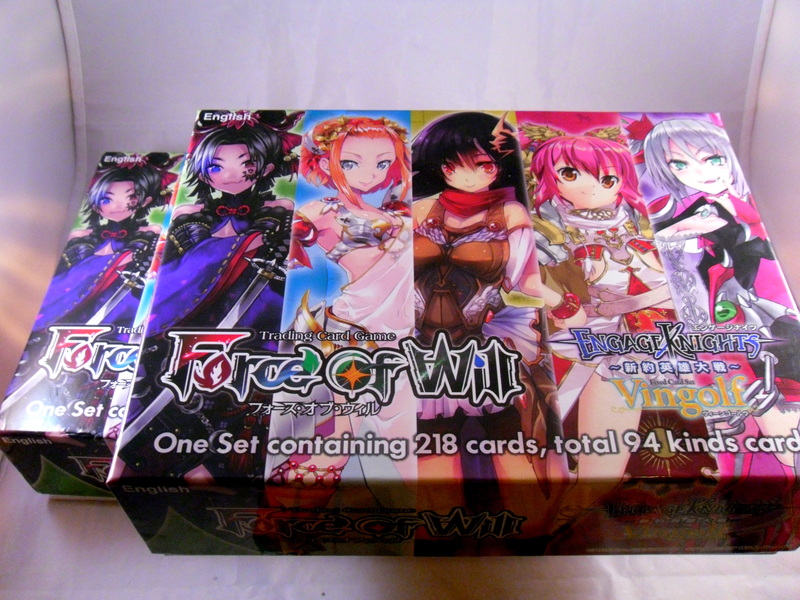 < Previous Why did we buy a box of Force of Will? What’s going on here?